GI Joe Mutt and Junkyard. 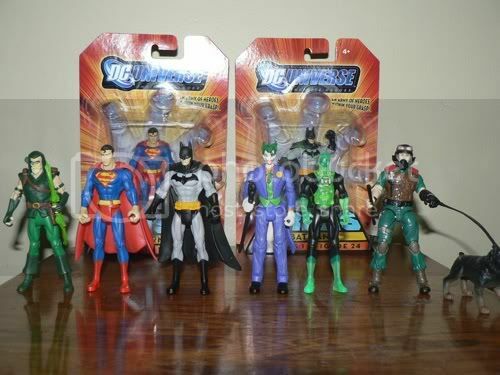 DC Infinite Heroes: Superman, Batman, Joker, Green Arrow, Green Lantern (clear Hal Jordan). Did you get the clear Hal at retail or on line? Online. After shipping I paid about $7.50 US for it in total, which wasn't bad, since all I wanted was the clear Hal and didn't want to pay $50 for the full set. Just a suggestion, nothing solid but I kinda figured the different departments on the boards could each host their own "Post Your Hauls Thread"
Kinda like Seperate ones for Star Wars, Transformers, Gi Joe, Superheroes, what not. Thats just my personal thing and if you all want to keep a general one on the go thats fine as well. Let me suggest that in addition to this one maybe pud333 can create one over in the Superhero Board section as well showing the same haul. I'm just thinking that having a hauls thread in each sub-community is the way to go, so that maybe if someone is say just a fan of McFarlane Sports all they need do is check out that thread, and the hauls thread in that thread, without having to look through a lot of stuff they ight not be interested in. what if you have a lot of mixed hauls? which thread would they fit under then?!!? No reason this thread can't stay, that said I think we should utilize the seperate forums as well, thats why they are there. Robimus: Sounds fine to me. I see no reason why we can't have hauls specific sub-community. You might as well open 'em yourself if one hasn't been created. I just opened this one since there was no general one. I've handled the Star Wars Forum Hauls Thread already, but anybody can feel free to open them in the other forums. Have a blast! I like the general hauls. there could be some really cool stuff that I would never go looking for in all the other forums. I prefer a general hauls thread as well. I just got this sweet Iron Man in the mail earlier tonight from someone over at TFW. 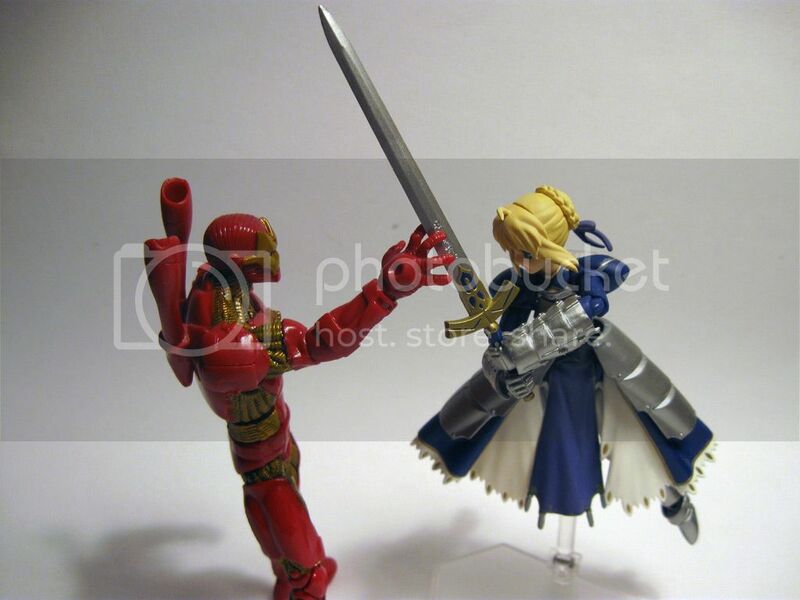 Fighting my figma Saber of course...since I had her in a fighting pose already.